All working Americans need retirement savings, regardless of gender. But the need is particularly strong for women, since they have a tendency to live longer than their male counterparts. They're also more likely to require paid care at some point — as a spouse may not be around to provide care. It's therefore unsettling to learn that women are only saving about half as much as men for the future. In a recent Student Loan Hero study, women had an average of $45,614 socked away for retirement, whereas men had $90,189. That sort of gap could put women at a severe disadvantage later in life. Why are women falling behind savings-wise? When asked why they're struggling to save for retirement, women cited living paycheck to paycheck and having to pay back student loans as their greatest deterrents. Then again, so did men. So why is it that the average female saver only has about half as much as her male counterpart? For one thing, in the aforementioned study, women were more likely than men to own up to a lack of knowledge about investing and retirement planning. Furthermore, women are generally more likely than men to take breaks in their careers to serve as caregivers, thereby reducing their savings ability. Finally, though some folks believe that the wage gap is narrowing, it still appears that women earn significantly less than men on an across-the-board basis. So it's easy to see why their savings balances fail to keep up with men's. If you're looking to retire comfortably, it's crucial that you get a handle on your savings as early on in your career as possible. The good news? If you're behind, there are several tactics you can use to catch up. One of the most effective ways to ramp up on retirement savings is to examine your budget and identify ways to cut corners. This could mean downsizing your living space, giving up a convenient but not needed car, or cutting back on leisure. The more cash you free up on a monthly basis, the more you'll have available to contribute to a retirement plan. 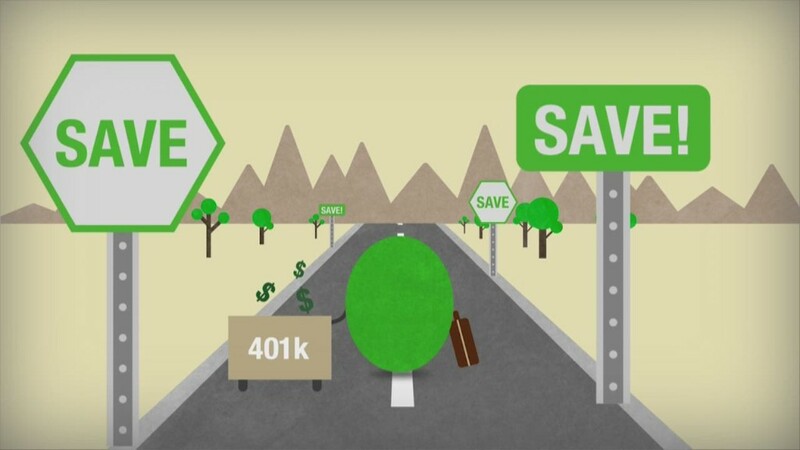 Furthermore, if you have a 401(k), make sure to contribute enough to capitalize on whatever matching dollars your employer is willing to give you. This way, you'll not only add to your savings balance, but the additional money you invested will boost your account's overall growth. And speaking of growth, you may want to change your approach to investing if your savings have been sluggish to date. Though stocks carry more risk than safer investments, like bonds, they're a good way to score some sizable returns on your savings. And that could be the key to catching up and retiring with enough money to pay the bills. Case in point: Saving $300 a month for the next 25 years will leave you with an additional $228,000 in your nest egg if your investments generate an average annual return of 7% during that time. But if you play it too safe and only manage to swing a 4% average return over the life of your investments, you'll wind up with just $150,000. Incidentally, in a separate study by Merrill Lynch and Age Wave, women identified not investing more as their single greatest financial regret, so that's reason enough to get a little bit braver with regard to your nest egg. Finally, don't hesitate to fight for raises throughout your career, because the more you earn, the easier it'll be to aggressively fund your IRA or 401(k). Job site Glassdoor has a handy "Know Your Worth" tool that allows you to compare salary data by job title and geographic region. If you do your research and find that you're being underpaid compared to your peers (male or otherwise), you can build a case for more money and use that additional cash to ramp up your savings. No matter what steps you take to catch up on retirement savings, be sure to make it a priority immediately. Otherwise, you may come to struggle financially when you're older, and that's the last thing you deserve.